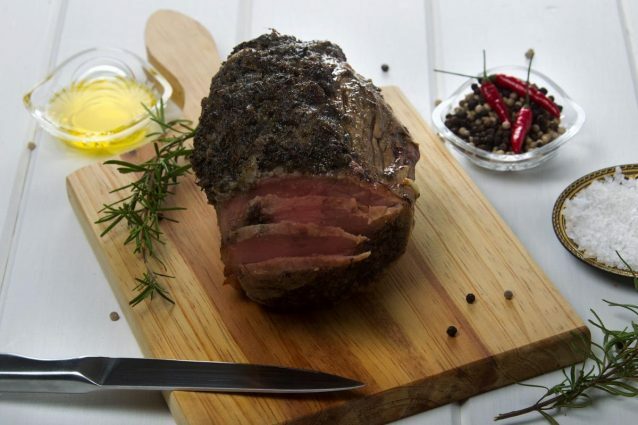 Sirloin tip roast is a tough cut of meat that is tastiest when the meat is cooked slowly and traps juiciness inside. If you want sirloin tip roast that is juicy and begging to be eaten. 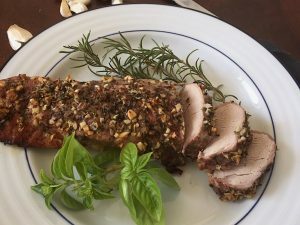 If you are worried about cooking a sirloin tip, continue reading for some methods to cook it properly. 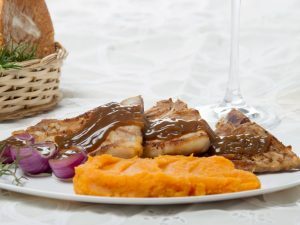 You will get a cut of juicy and appetizing meat, with little or no difficulty in cooking. 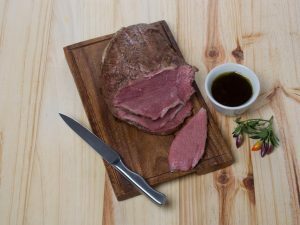 I'll teach you how to prepare a great recipe for sirloin tip roast, one of the best ways to cook sirloin tip. I'll detail the complete recipe step by step to make it perfect. Preheat the oven to 500º F. The meat will not cook at this temperature but if we want to seal it for 10 minutes at high temperature in the oven and then lower the temperature to 350 º F.
In a cup, mix the salt, pepper and thyme with two 3 tablespoons of olive oil until a homogeneous mixture is obtained. Remove the excess fat from the sirloin, the fat cover covering the meat should preferably not exceed one inch. With a sharp knife make small cuts on the meat and insert a garlic into each slot. Season the meat with the spices evenly up and down, placed on a baking pan, the side of the fat should be facing up. Place the thyme twig in the same bowl, this will give more flavor to the meat. Bake at 500 ° F for about 10 minutes and immediately lower the oven temperature to 350 ° F, cook about 30 minutes longer, until the internal temperature of the meat reaches 125 ° F.
Finally, remove the meat from the oven and let stand for 5 minutes in another tray. Cut into slices a half-inch thick and served immediately.